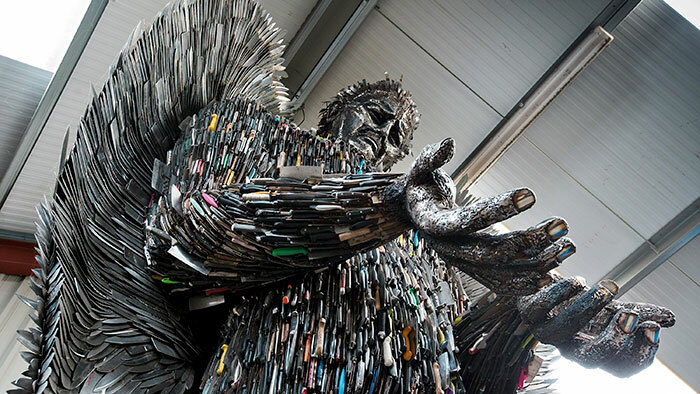 Sculptor Spends 2 Years To Build Knife Angel Out Of 100,000 Weapons, However Government Rejects It | SAYWHAAATTT?! 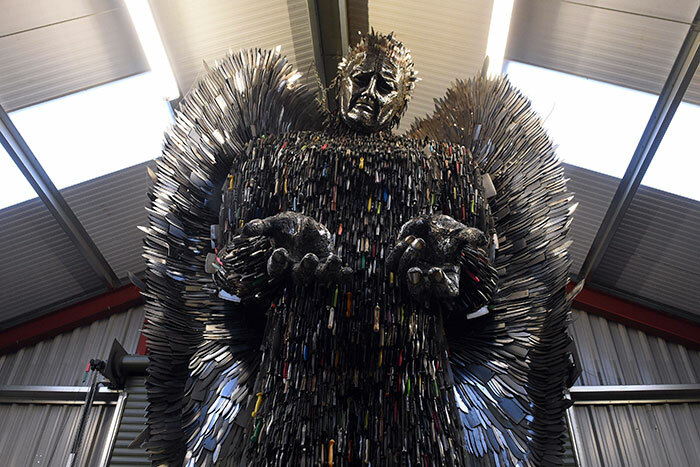 Sculptor Spends 2 Years To Build Knife Angel Out Of 100,000 Weapons, However Government Rejects It – SAYWHAAATTT?! 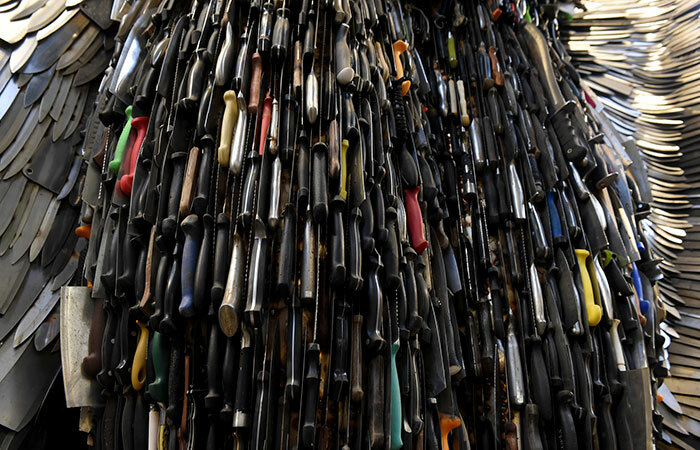 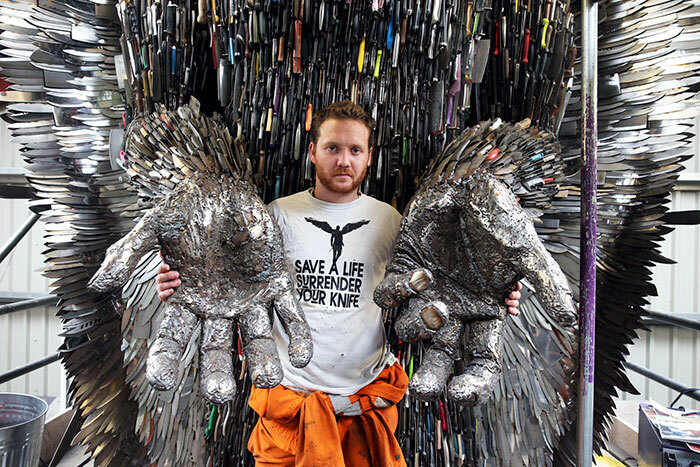 The angel’s creator, Alfie Radley, has spent two years designing and building the sculpture which features police donated knives that were actually used in violent crimes all over England and Wales, some of which even have the names of the victims engraved onto the blades. 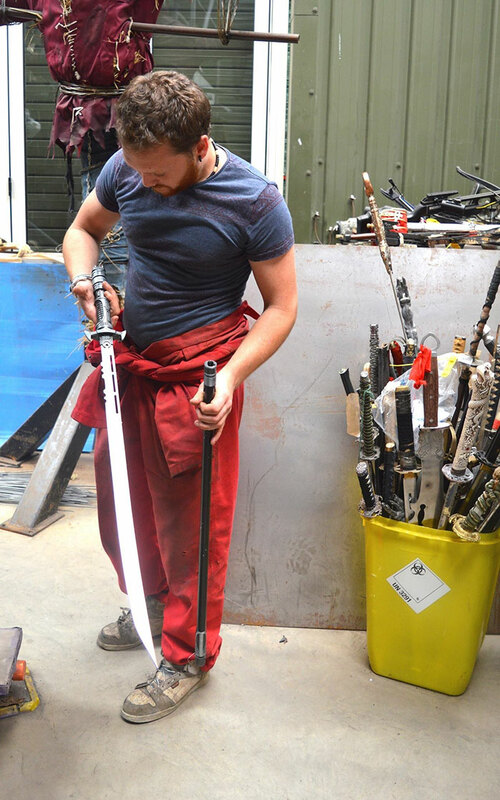 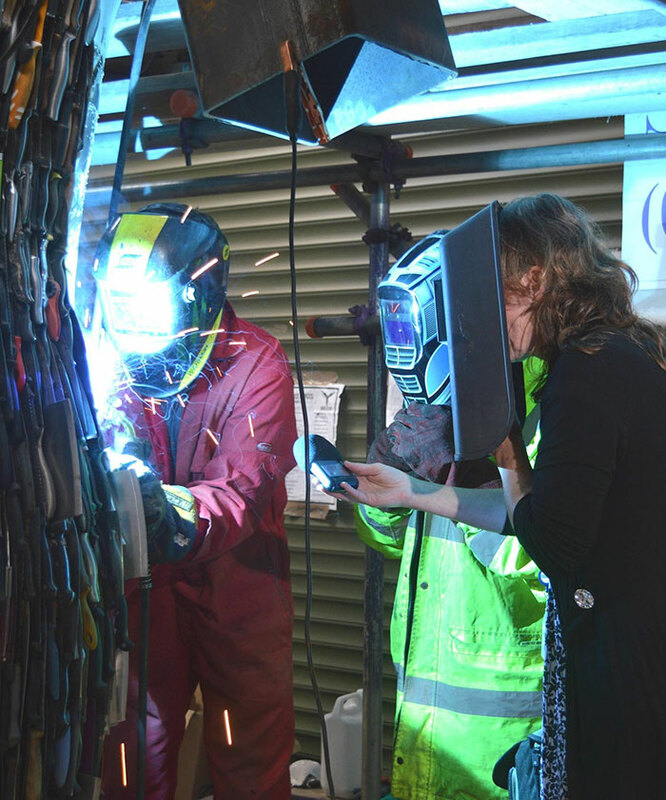 The rest came thanks to the help of British Ironwork Centre in Shropshire, which initiated an amnesty program “Save a Life, Surrender Your Knife,” through which people could anonymously donate their knives to the project. 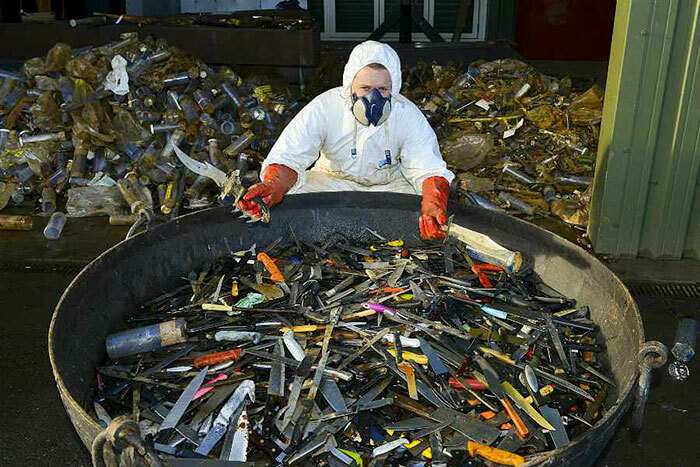 Besides cleaning every knife of ‘biological material,’ Alfie also “had to blunt every single knife to make sure they’re not sharp anymore, and can’t create any damage,” Radley told ITV News. 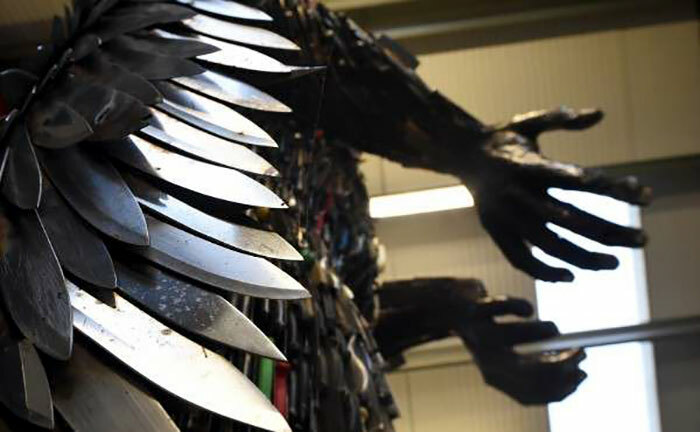 Radley is currently running a petition to put the sculpture on Trafalgar square in London to raise awareness of the issue, and you can show your support right here.